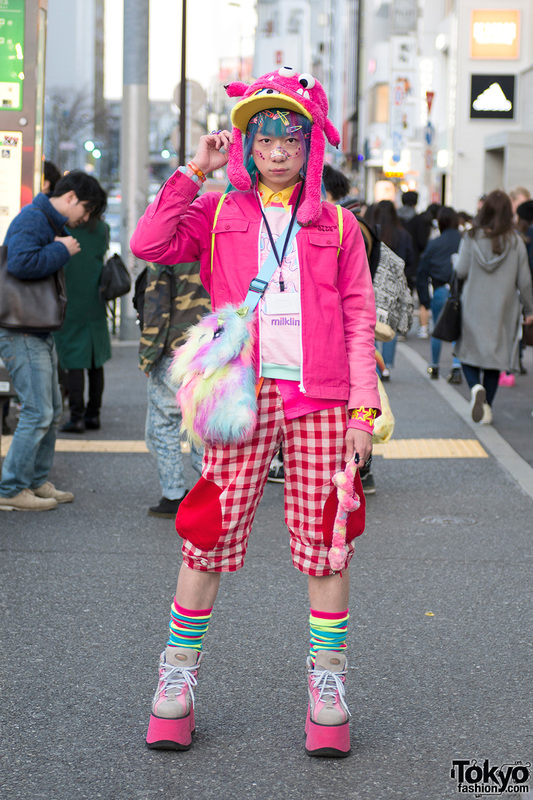 Harajuku guy with pink hair wearing colorful fashion and accessories from 6%DOKIDOKI, Galaxxxy, and Hello Kitty. 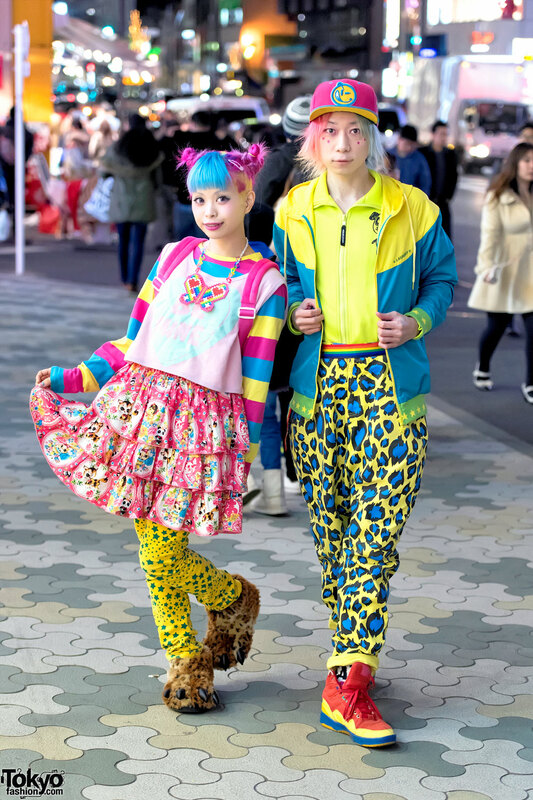 Harajuku Fashion Walk organizer Junnyan on the street in Harajuku wearing a graphic t-shirt, polka dot pants, and tall Buffalo platform boots. 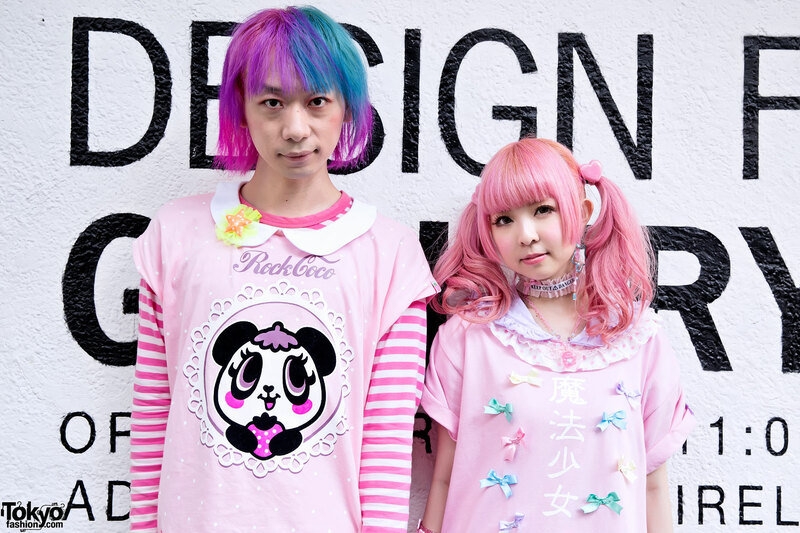 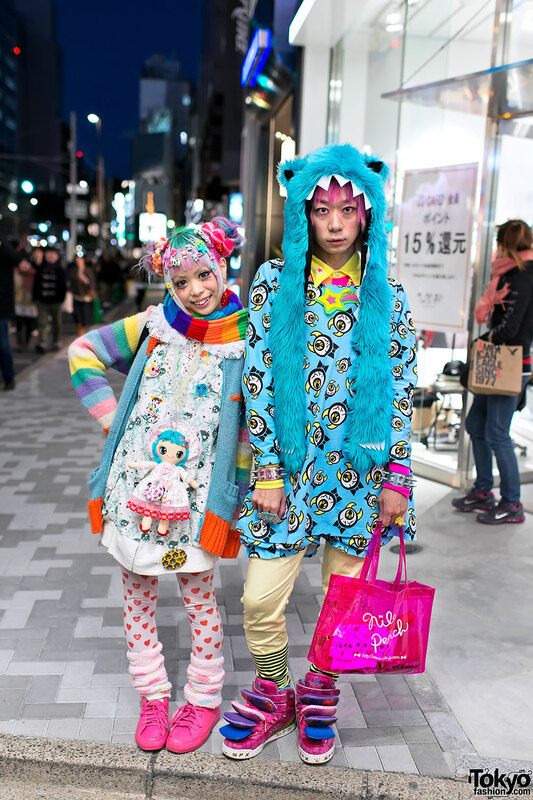 Harajuku Fashion Walk organizer Junnyan and Harajuku fashion designer Moco will be at the Tokyo Crazy Kawaii Paris event in France from September 19-22! 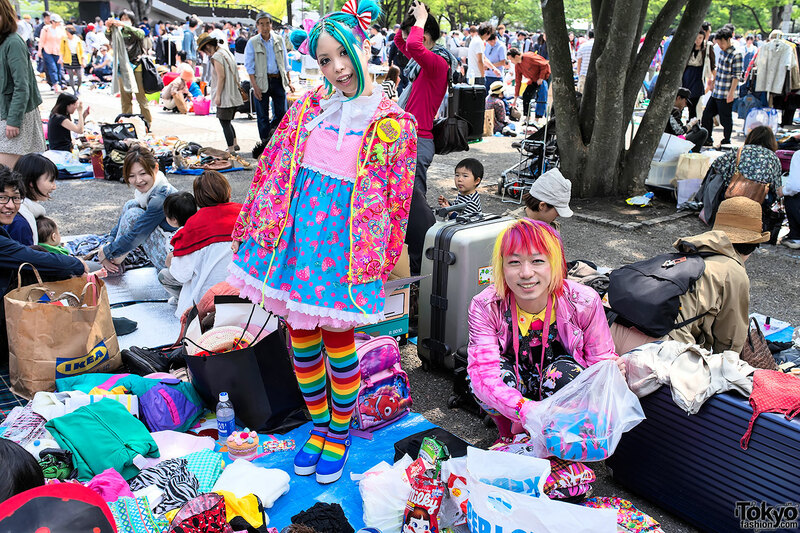 Kawaii Japanese model Haruka Kurebayashi and colorful Junnyan selling items at the famous Yoyogi Flea Market in Harajuku. 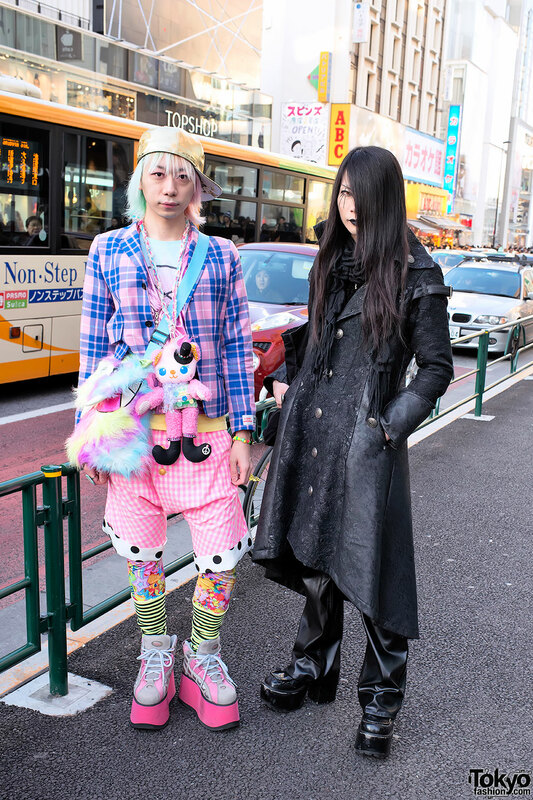 Junnyan wearing Super Lovers & 6%DOKIDOKI and Kyouka wearing h.Naoto & YOSUKE in Harajuku. 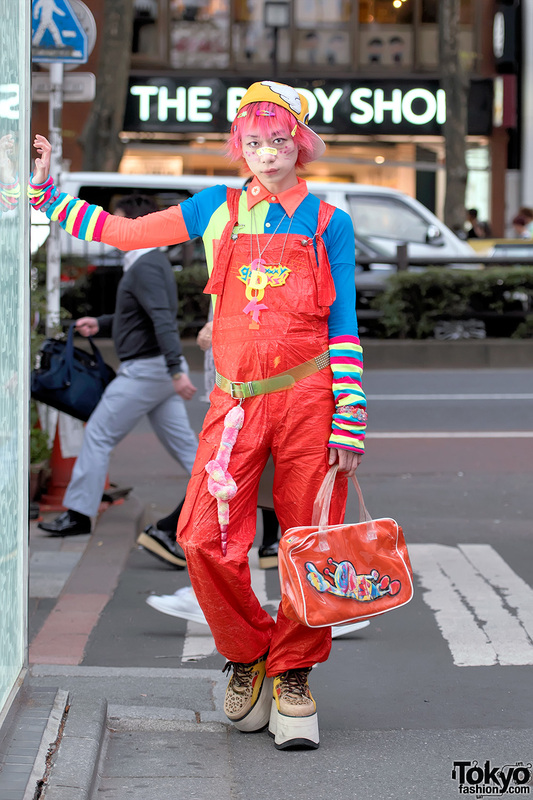 Junnyan from Harajuku Fashion Walk wearing items from 6%DOKIDOKI, Walter Van Beirendonck & Hellcat Punks on the street in Tokyo.